I shared the other day that according to Forbes Magazine Scrooge McDuck is the second richest fictional character according to Forbes magazine and seeing his name made me smile. Where Forbes attributed Scrooge to the Uncle Scrooge comic books, I felt, well sort of ignorant, because I don't think of the Uncle Scrooge Comics at all when I hear his name. In fact I think of the 1980s cartoon DuckTales (listed as a favorite on my list of favorite 80s cartoons) which ran for 4 seasons beginning in 1987. 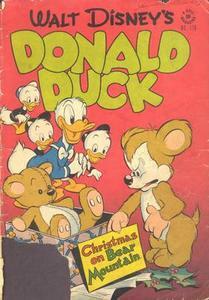 This is were my knowledge began, and my ignorance sort of kept Scrooge McDuck in this format, but Uncle Scrooge was around as a character in the Donald Duck comic, Christmas on Bear Mountain in 1947 (pictured right). Here Scrooge is trying to determine if Donald and his nephews are worthy of their inheritance and the character was born and eventually spawned his own comic book series "Uncle Scrooge." 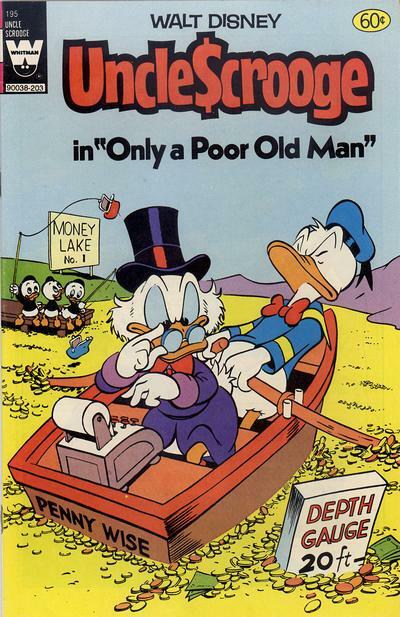 "Uncle Scrooge" premiered in 1952 with "Only a Poor Old Man." (also pictured). 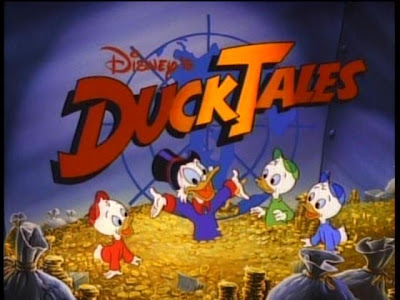 I don't know about your taste, but I find Uncle Scrooge a far more interesting (not to mention comprehendable character) than Donald Duck, and Huey, Dewey, and Louis are quiet entertaining so I appreciate their edition to Disney storyline. A Side Story. 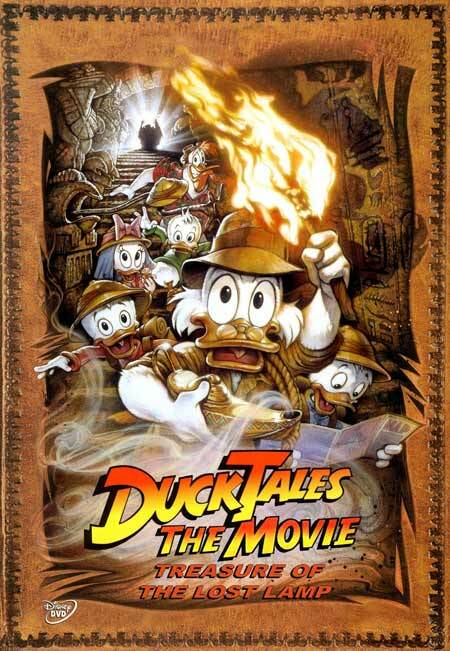 In 1990, Disney made a feature film DuckTales: The Movie - Treasure of the Lost Lamp, with the art work featured here you can see was an animated Huey, Dewey, Louis and Scrooge McDuck feature length film. I won't lie - I enjoyed this very much at the time of it's release, and found it to be a hidden treasure of animated films as it didn't get the same type of buzz as the successful animated musicals Disney was succeeding with. So, when my sister won a local grocery store coloring contest and won her own copy of this film I was more than happy to watch this film, about a wealthy uncle taking his nephews to Egypt to find priceless treasures, including a lamp with a magic genie. I'm not sure what I would think of it on a re-watch, but I think I might gladly bust this VHS out to share with my daughter as a fun animated story of adventure. As for that wealthy Scrooge, he's always an enjoyable character. 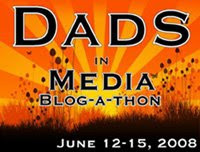 I had fogoteen all about the contest...it was nice that she won something for both of you. I probably still have the video if you want to watch it again.